The PRO*HHC Series of custom made and off the shelf catalysts are designed for the oxidation of Halogenated Hydrocarbons VOC's. 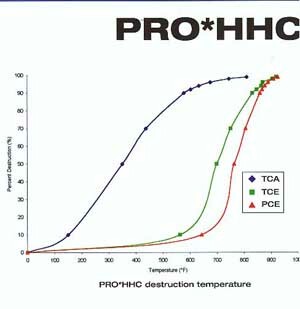 Halogenated Hydrocarbons will deactivate most conventional catalysts, the PRO*HHC is specifically designed to achieve high destruction, resist halogen attack, and prevent elemental chlorine formation. It can also destroy Dioxins.